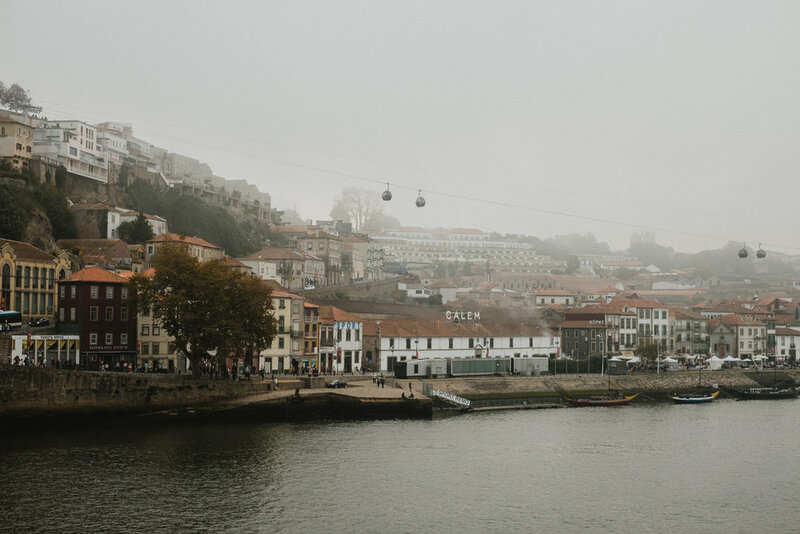 Porto was the final stop on our 10-day Portugal trip. I'll be honest, by this point we were exhausted from 8-hour walking days and steep uphills. 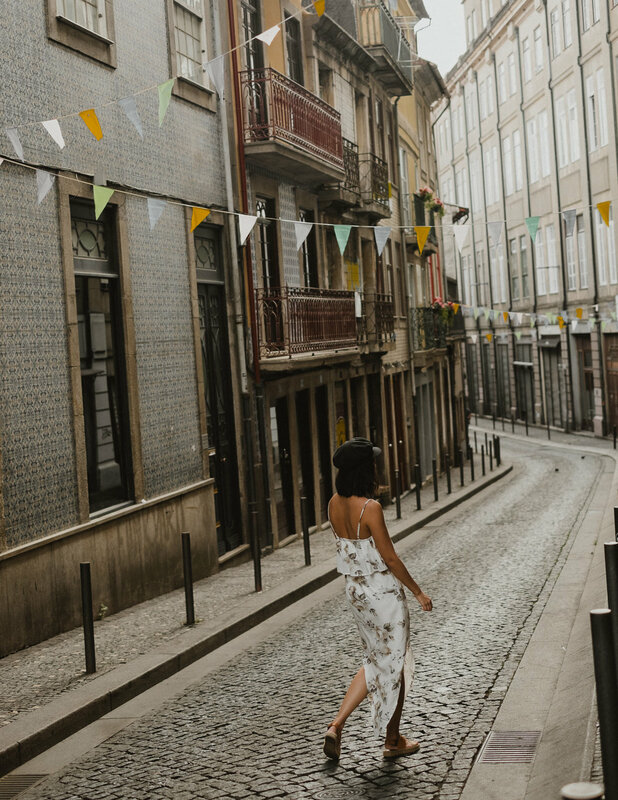 I wish I could tell you that we did a bunch of activities in Porto but what ensued turned out to be a series of poor planning, but not without a happy ending. Keep on reading to find out more. Left: Sao Bento station; Right: A Vida Portuguesa. We took the train from Lisbon to arrive in Porto just before noon (the trip is about 3 hours long). Since our room wasn't available for check-in until the afternoon, we dropped our bags off at Rosa et al Townhouse and decided to wander around the downtown area, which is basically a maze of hills and alleyways. 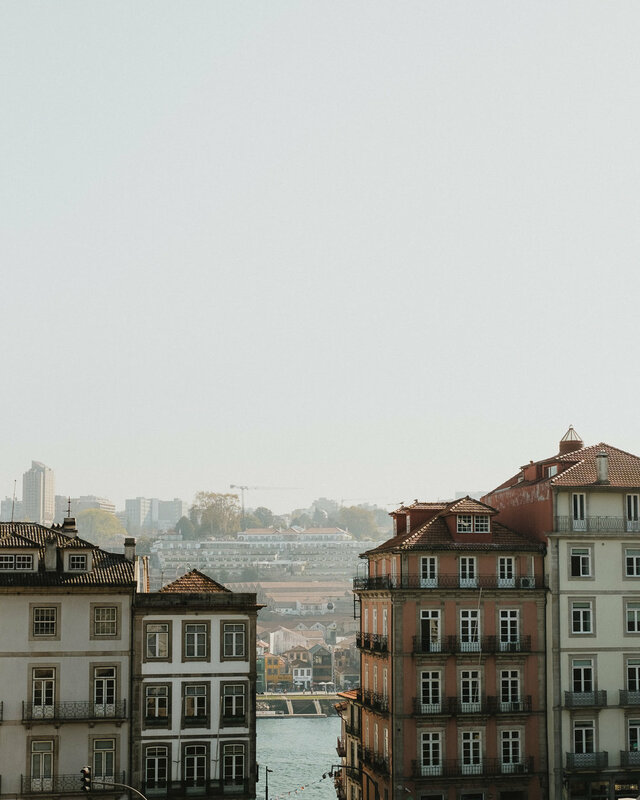 Where Lagos felt distinctly like a beach town and Lisbon like a city centre, Porto felt like a rustic and charming town. The buildings seeming to squish together, their outer appearance appearing less maintained, with narrowing and dim side streets. However, I loved it. Every street we turned on had so much character, and every restaurant and cafe we passed by had me wanting to duck my head inside for a quick look of their interiors. Somehow, the sun always catches the buildings at the perfect light. Cafe Epoca, a cute little breakfast spot recommended by Rosa et al Townhouse. Rosa et al Townhouse's Batalha-serviced loft, closer to the downtown area. After checking into our room, we decided to try and catch the sunset by Porto's iconic Ribeira district along the Douro River. By the way, we stayed at Rosa et al Townhouse's Serviced Loft, which is beautifully modern and so conveniently located downtown in walking distance to Porto's main attractions (they even provide homemade yogurt, granola and cookies on check-in!). If you couldn't tell by the next set of the photos, the sunset was a fail. Although, I actually think I prefer the atmospheric effect of the fog... if you know me, I'm all about moody photos haha. Fog or not, the scene is beautiful and I can certainly see why the area is an UNESCO World Heritage Site. If you're visiting in October (as we did), make sure you dress properly—with the fog and mist, temperatures drop quickly as the sun sets. Let's just say I was definitely not appropriately dressed in this trench coat, dress and sandals. After this is where the poor planning began. On a Thursday evening, without a reservation we got turned away from a table for two by almost every restaurant. Eventually we did get a seat at a tapas place, but it was so-so (as in they forgot to put in our order for over an hour) and not really recommended. View of the Ribeira square from across the Douro. Looking across the Douro, where Porto's infamous wine cellars are located. The next day was our only full day in Porto before next morning's flight back to Toronto. We had originally wanted to make a day visiting Palacio da Bolsa, Clerigos Tower and Livraria Lello. For some reason we had the foresight to buy tickets to Palacio da Bolsa the day before, but nothing else on that list. We started off with Palacio da Bolsa but didn't end up visiting any of the other places because the lines were quoted to be around 3 hours long at 1PM in the afternoon! Although I can't speak to the other two (because we're terrible planners), Palacio da Bolsa is worth a visit, especially if you have a love for architecture. The name is a bit misleading, because it's not a real palace. Rather, it's a self-proclaimed palace that was originally Porto's stock exchange and is actually used to this day as a place of commerce (and for concerts, apparently). Essentially, people actually go to work in this building so visitors are only allowed in on a mandatory guided tour. Although the tour was only around 30 minutes, I found it quite worth it as you learn an interesting bit of history about the building and its rooms. Left: the beautiful staircases at Palacio da Bolsa; Right: Some lucky couple rented out the main foyer of the palace as their wedding venue. Since we couldn't get get into any of the other landmarks we wanted to check out, the remainder of the day was spent strolling around the downtown area. The great thing about Porto is that it's an easily walkable city. It probably takes about 15 minutes to walk through the main city centre. I was still looking for something special to bring back to Toronto with me, so we ended up doing a lot of boutique browsing and even happened upon an outdoor antique fair. I always try to find something vintage or more unique as souvenirs on my travels, rather than random nicknacks that end up as clutter. Coração Alecrim was my favourite shop to discover, an indie shop offering a mix of vintage and new. I managed to pick up a vintage coffee table tray and a braided straw handbag from a brand which the store owner actually shot the catalogue for herself—how cool is that? Maybe because Porto is so much smaller and we managed to see so much more of it just by pure wandering, but it really felt like there were more trendy stores and cafes than Lisbon, where a lot of our meals and shopping still felt more catered towards tourists (we probably just didn't know where to go haha). Above: the many facades of Porto. A glimpse of the Douro. We only purchased phone plans for data but not calling, which hadn't become a hindrance until the last day. Given our ordeal from the day before on finding a dinner spot, I had emailed our hotel asking for their help in booking dinner reservations at either Cantina 32 or Taberna dos Mercadores for tonight. We passed by both restaurants the previous night and were really hoping to try one of them. Unfortunately both were booked solid for the night already, but Rosa et al Townhouse was so helpful and booked reservations for us instead at Restaurant Terreiro, which shares an owner with Taberna dos Mercadores. Not to mention if you go early and grab a spot on the terrace, it overlooks the beautiful Douro. We enjoyed a wonderful seafood dinner and with wine in hand, watched as the lights came alive and street performers entertained in the square below. Not at all a shabby way to end our last night. Well, that concludes this series of Portugal posts. Although we missed out on 70% of the things we wanted to do in Porto, I'm in no way complaining about the visit. It was a refreshing quiet to the activity-filled days we enjoyed in Lisbon. I am disappointed we did not have enough time to visit the wine cellars, but that's what the next trip is always for. If you're not interested in reading an entire summary of my time, here's my quick-fire round guide to Porto. Ribeira District: Don't miss the colourful stacks of houses along the river. The street itself is packed with tourists, but makes for some interesting people watching if you find a cafe or restaurant. Palacio da Bolsa: Some amazing architecture and rooms, and won't take long out of your day since the tour is only 30 minutes long. Clerigos Tower: We didn't manage to go up the tower, but it's the best panoramic view you can probably get in the centre of city. Wine Cellars across the Douro: What Porto is famous for—if we had more time I would have loved to add this as a half day activity. Cafe Epoca: We wanted a quick breakfast place after dropping our luggage off, and the hotel recommended this nearby spot which we absolutely loved, both the food and interior. Grow Food House: A great farm-to-table option. The portions were on the smaller side, but the food was impeccable. Cantina 32: We didn't get to eat here but it would have been on the top of our list, make reservations in advance. Taberna dos Mercadores: Same as above, unfortunately. Learn from my mistake and make reservations! Restaurant Terreiro: By the same owners as Taberna dos Mercadores and where we ultimately ended up dining, with thanks to our hotel for the suggestion and reservation. Grab a seat on the patio and enjoy a glass of wine with the Douro as your backdrop. Rosa et al Townhouse: I can't recommend Rosa et al Townhouse enough. They were so helpful in every aspect. Although we didn't have mobile calling available on our phones, they were always quick at responding to emails whenever we had a question whilst out. I stayed at their Serviced Loft this time since it was closer to the core, but I would love to book a room at their main townhouse and enjoy a homemade breakfast in the mornings next time I'm in Porto.